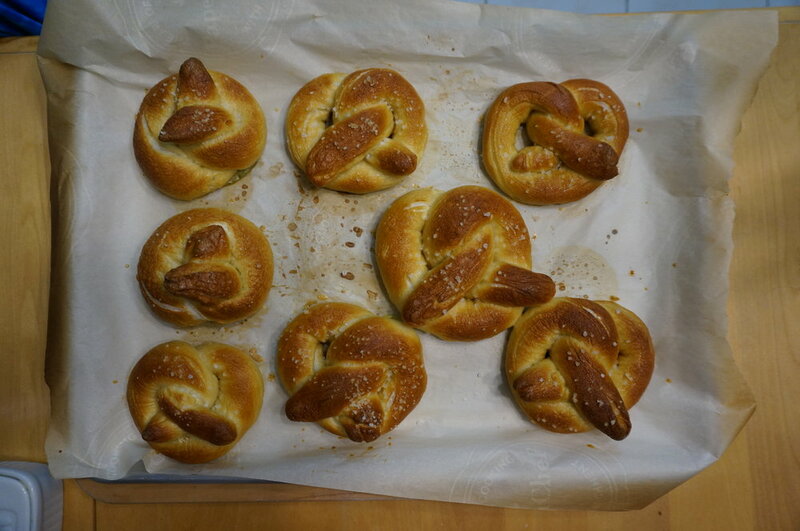 The inspiration behind baking pretzels was while I was eating pretzel crisps. Ken offered a bag and as I was snacking on them, I thought - let's make pretzels and that's how we fell into this rabbit hole. 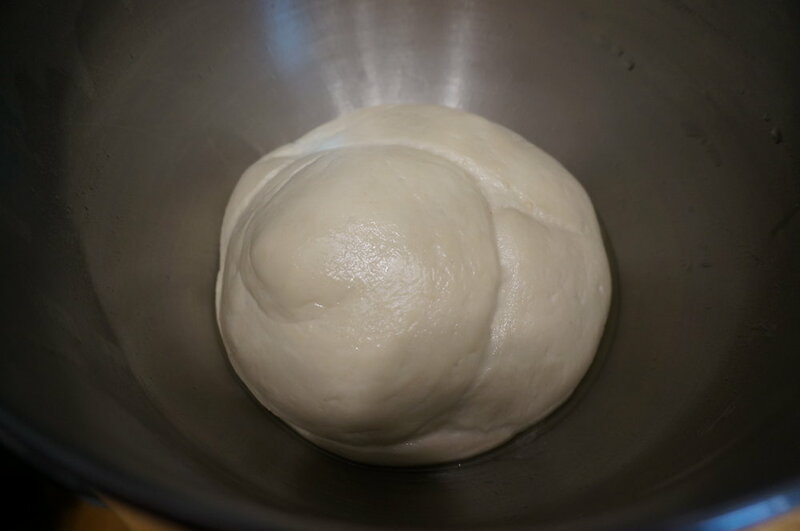 When it comes to baking bread, I always worry that the dough isn't going to rise - but the dough rose! 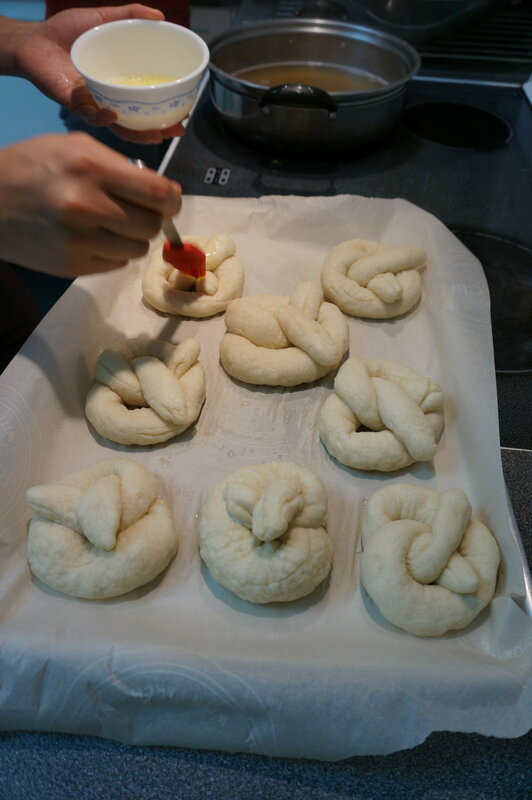 Rolling out the dough into a pretzel shape proved to be the most difficult for me, but no obstacle for Ken. 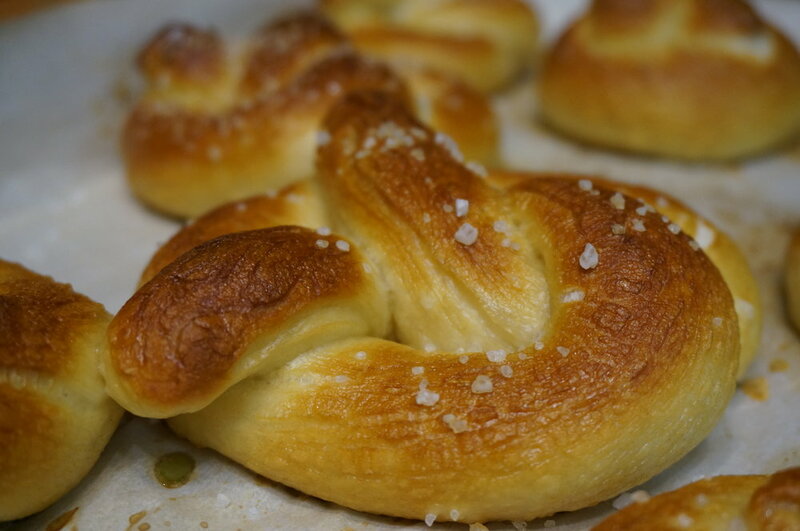 My dough dried out and became all wrinkly, while his pretzels were moist and shapely. The usual, Ken can make anything. 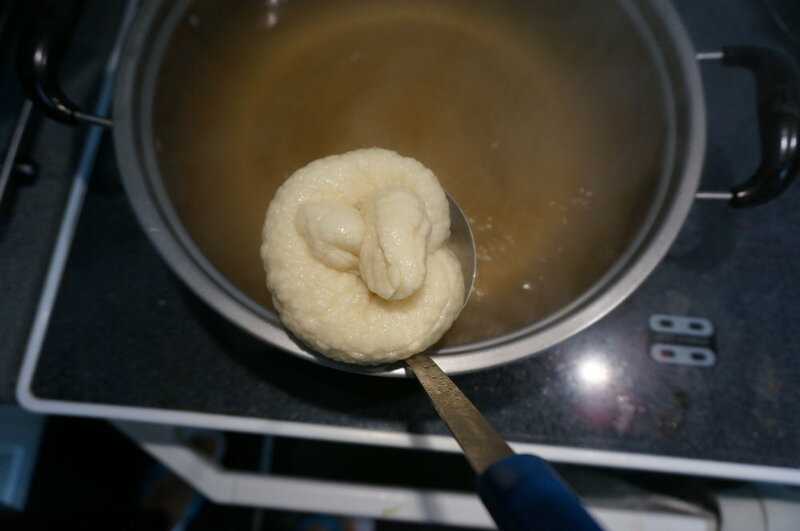 I didn't realize that pretzels had to be boiled with baking soda prior to baking it in the oven and the reason is to puff the dough out. Baking these were a real treat to accompany our evening of watching season two of Westworld. The big mistake? Adding too much salt thanks to me being way too generous. Other than that, it's a fun to-do and it's quick.